Life in Guwahati is being hampered by the ever increasing traffic congestion and road mishaps hurting the people in an unexpected manner. Recently, the spurt in the number of private vehicles has not only increased the pollution on city roads but also made traffic management a difficult task for the local police. A first time visitor to Guwahati from the mainland will be aghast at the road intersections in the city which don't have a planned outlay lacking critical aspects like road markings and dividers to direct the traffic flow. Due to poor traffic regulation at intersections, there is vehicular congestions leading to needless waste of time and fuel. For example at the Guwahati club roundtana, there is perennial confusion as roads meet at the junction without any dividers and without proper channelising, vehicles take much time to enter and exit this busy stretch in the city. What is alarming is the spate of accidents due to poor road design near intersections as vehicles are not able to pass through these stretches without hassles. On many corridors in Guwahati city, traffic signs, boards, warning signages, lane markings and signal systems are not up to the standards one is used to in Indian metro cities. Hence, it is important to first upgrade the lane, edge and median markings, pedestrian crossings, parking zones, traffic delineators and the signal systems with their electric circuitry to the quality adopted in other major cities. Most of the roads are narrow with little space for to and fro traffic on either side. Hence, the problem of on-street parking has caused traffic bottlenecks and congestions at many areas in the city. While volunteers have been deployed and stiff fines are being levied on those who park their vehicles on road hindering the traffic flow, this parking menace is a major irritant due to narrow roads which don't have a big carriageway for free flow of vehicles. It seems the only way to smoothen the traffic flow is to widen the road width by pulling down civil structures and thereby increase the carriageway of these corridors to accommodate heavy vehicles. 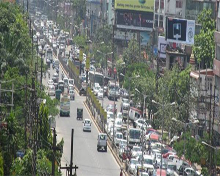 Before it is too late, it has been suggested that Guwahati Metropolitan Development Authority (GMDA) and the PWD have to step in and take necessary action to reshape the roads to meet the future requirements for vehicular movement. A mass rapid bus transport service owned by the government can be thought of to reduce the number of private bus services which will reduce traffic congestion on Guwahati roads. Besides, this rapid bus service will offer effective service at affordable fares to large number of local people in all directions and meet their daily commuting needs. 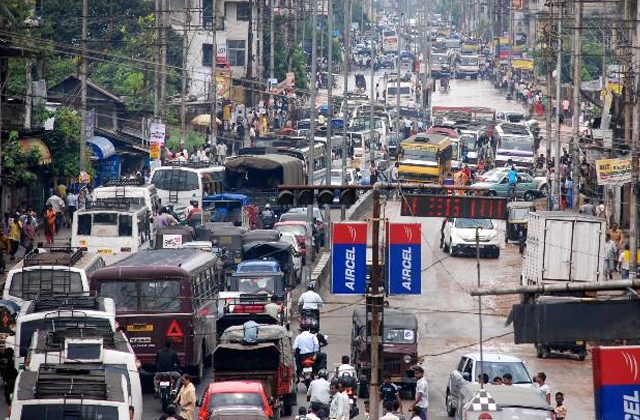 With exponential growth in traffic volumes, it is felt the need to restrict the number of cars for each family is just one as they will go a long way in removing the congestion woes on Guwahati roads. It should be noted that roads in Assam capital don't have modern standards or in-built capacity to accommodate huge traffic growth. Soon the traffic police have to set up parking lots and curb the menace of irregular parking on streets which has become a grave concern on the issue of road safety. Heavy fines have to levied on those who violate the parking norms. 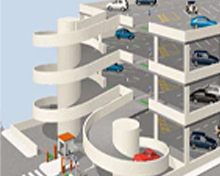 Further, the government have to come up with solutions like multi-level parking on commercial areas that teeming with vehicles on all directions. 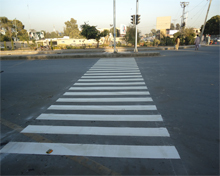 Police acknowledge there are gross violations of traffic rules like the jumping of signal lights, not respecting zebra crossings, over-speeding and illegal parking. With Guwahati having only three footbridges, pedestrians have to wait endlessly near the zebra crossings for the vehicles to halt for them to reach the other end of the road. Strict rules have to be enforced so that traffic flow does not get congested. These road norms must ensure there is orderly movement of vehicles, traffic signs and regulations are observed with no violations by the motorists and the safety of human life is ensured. Guwahati traffic police has opened a number - 918471904613 - on WhatsApp, the popular messaging application, to reach out to the citizens and thereby improve traffic management with the people's help. Apart from photographs or videos of people violating traffic norms through WhatsApp, the police seek the people’s feedback on the measures taken so far to regulate the traffic and take complaints against those manning city's traffic.